I feel like this week has been completely monopolized by organizing and playing catch up. Cyber Week was a total whirlwind, but I managed to snag some awesome items that I'd had my eyes on, in addition to gifts for family. So many deals you guys! I hope you got some great stuff if you decided to shop or braved the weather and crazies out at the stores in-person. 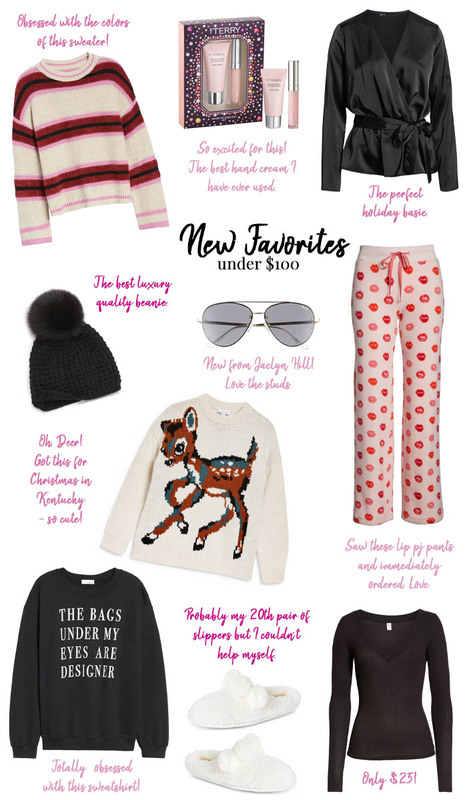 I have plenty more holiday posts coming your way, but for today wanted to share some fabulous, fun new items I've picked up recently that are all under $100 each. And would also make great gifts! You all know I'm all about comfy clothes and loungewear... and I don't mind spending more on those items because it feels like it's all that I wear. I can't even tell you how many graphic sweatshirts I own, but what harm could one more do? I've seen this "The bags under my eyes are designer" sweatshirt on several bloggers and know it will sell out. I snagged an xs and small to see which will work best and they are supposed to arrive today - will share on stories! I also snagged these adorable lips PJ pants (under $30). For one, they are pink (easy sell! ), and for two, they make this beauty junkies heart skip a beat. 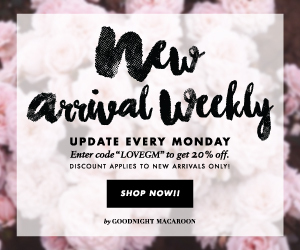 The brand is my absolute favorite for loungewear and pajamas so I know I am going to love them... and the material looks super comfy. For my Christmas trip home to Kentucky for the holidays (I haven't been home in two years - YAY!) I decided I want to be super festive this year. There are so many amazing holiday sweaters I just can't wait. One of the comfy pieces I bought was this adorable deer sweater. I cannot get over how cute it is and am planning to style it a little more chic with faux leather leggings, booties, and a beanie. Speaking of which, the black pom beanie shown above is by far the best one I own! Now, don't get me wrong I've found some amazing, affordable beanies that are great quality, but this one definitely takes the cake! The quality is superb, the pom super soft, AND it comes in tons of different colors.